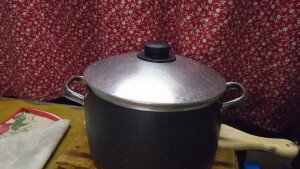 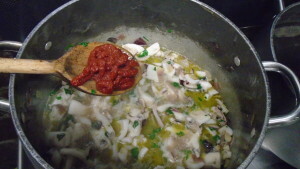 This is a base for any fish soups, risotto and pasta sauce; you can refrigerate and use when needed. Start frying chopped onion in extra virgin olive oil, you could add garlic, carrot, scallion or celery if you like. 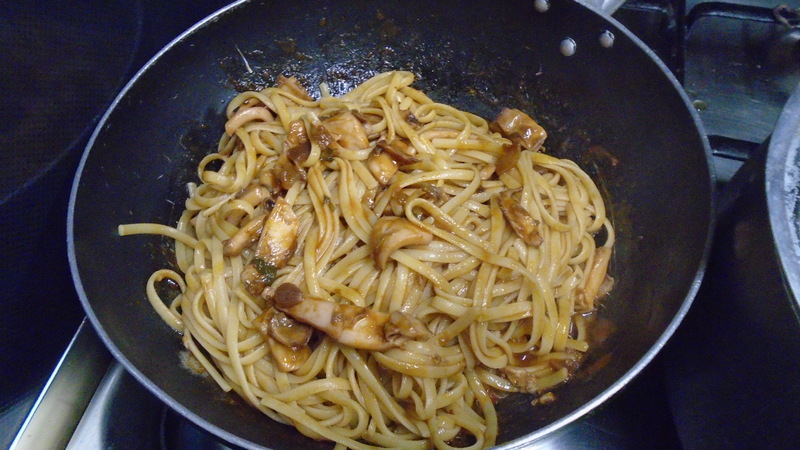 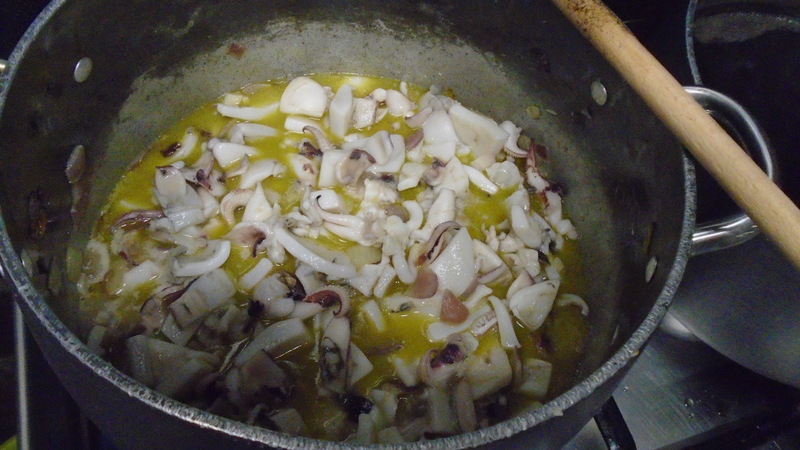 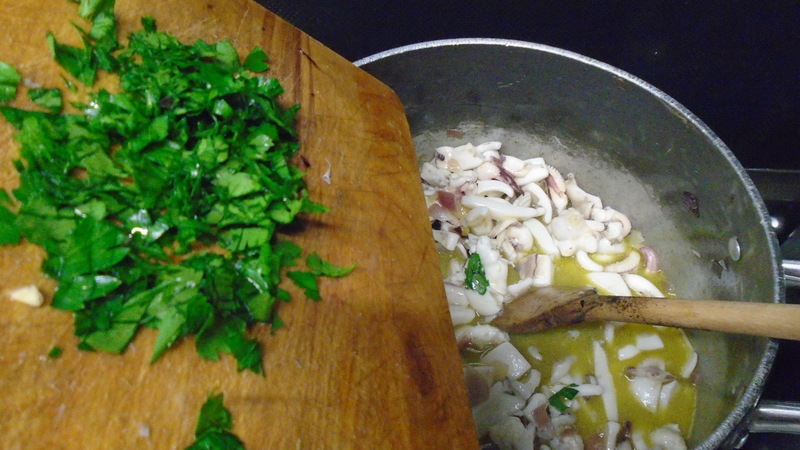 As the soffritto takes color drop the cuttlefish, already cutted in pieces. 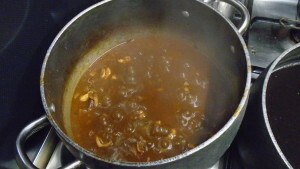 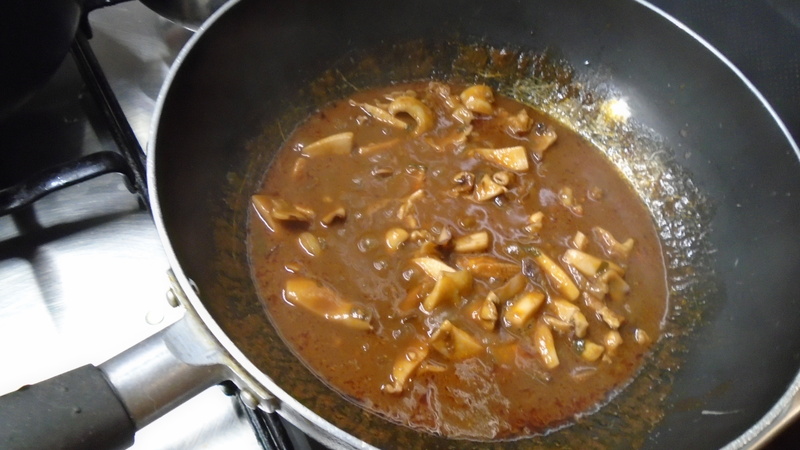 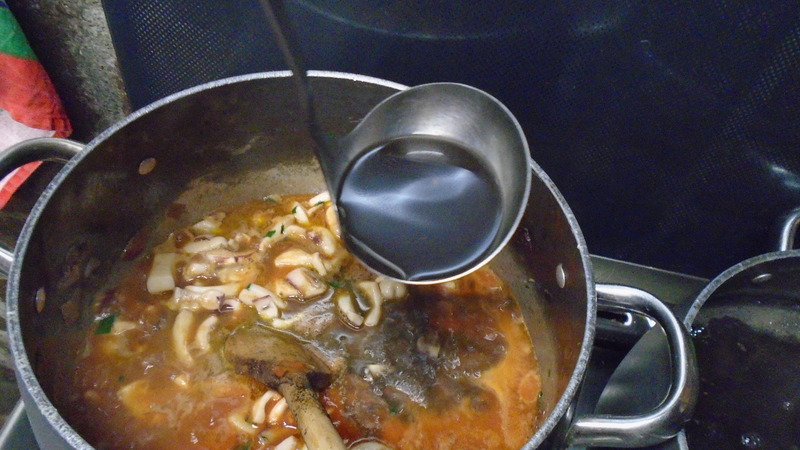 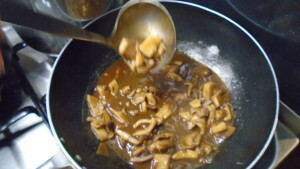 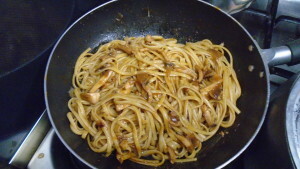 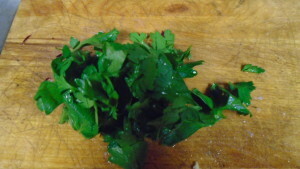 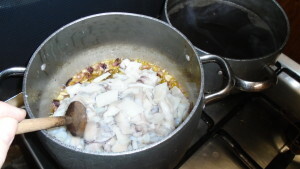 Before, you have already prepared a broth using the cuttlefish skin. Cooking they will loose their water. 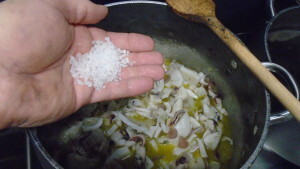 Drop two-three pinches of marine salt. 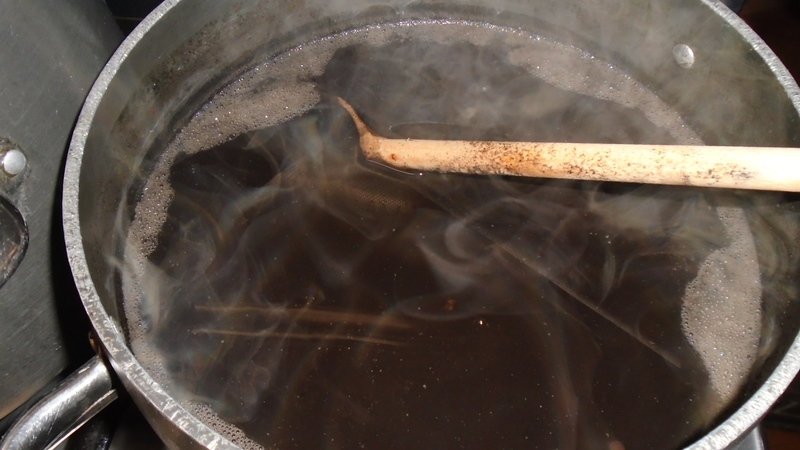 Chop it and drop in the pot. 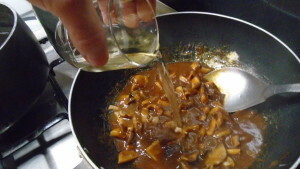 Add one spoon of tomato puree (concentrate), you could use tomato sauce or juice instead. 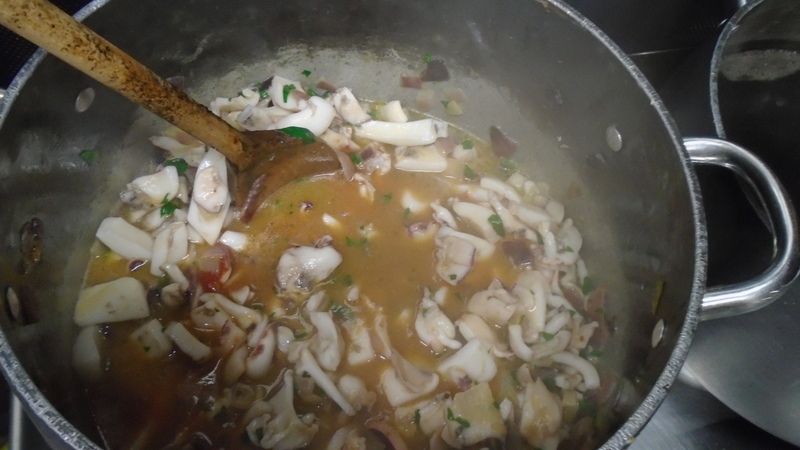 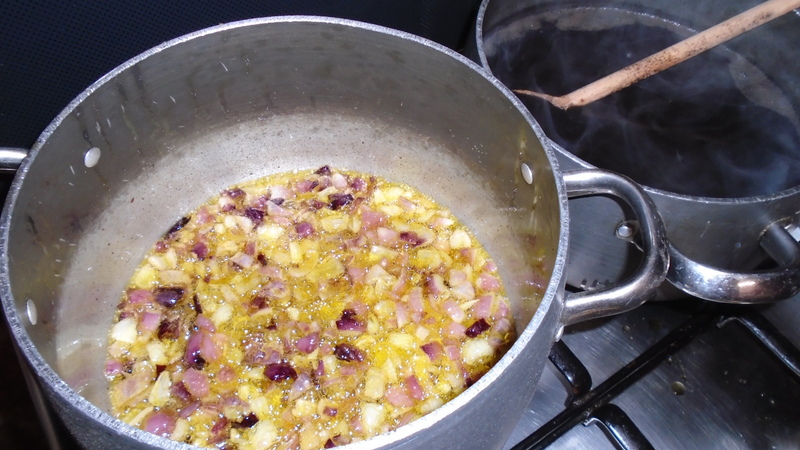 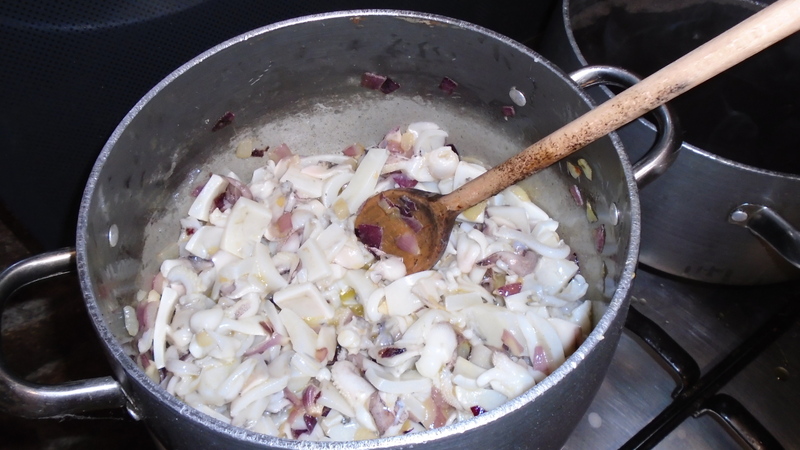 Start adding the previously prepared broth, add at least half liter for each kilo of fresh cuttlefish you put in the sauce. 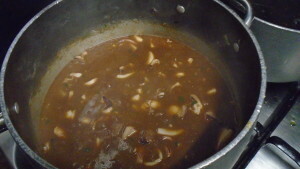 On a slow fire you can reduce the sauce as you like. Check for the salinity and the consistence you need. When you are satified stop the cooking. Keep covered and let cool it down, later on you can keep in the fridge for few days. 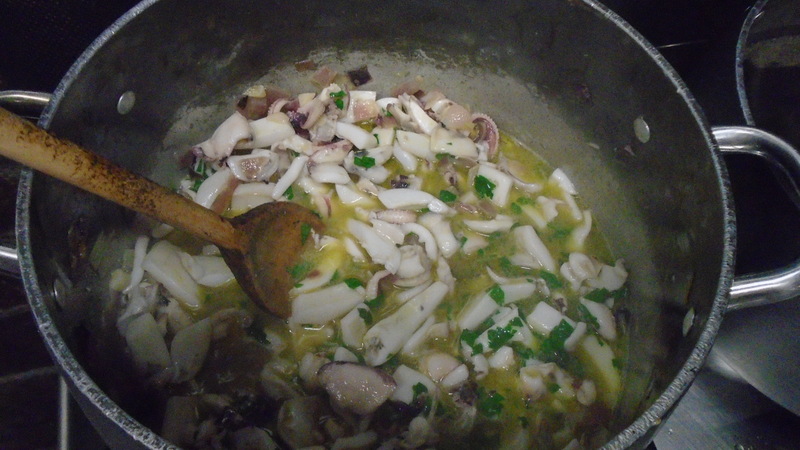 Let’s use some for the pasta! 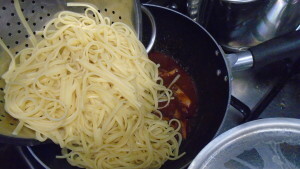 Warm some sauce in a fry pan. Drop the pasta, already cooked al dente, in the sauce. Still on top of the fire stir well two minutes then serve. si ci metti la pelle ed anche le parti bianche e sode delle interiora, bastano quetste per dare sapore, altrimenti puoi aggiungere ortaggi oppure usare brood di pesce o vegetale, ciao, M.
Just to quick clarify: the broth I use is made with the skin gotten from the cuttlefish, usually I also add the internal organs which are white in color and consistent to touch, be careful to wash them well cleaning from any sand, the cuttlefish must be fresh. 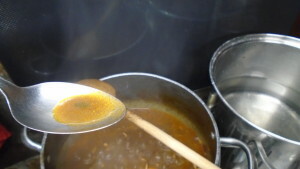 If you like you add veggies, another choice is to use fish-broth or vegetal broth, is up to you. A.D.K.